Most people, who start training with calisthenics, never achieve their goals. As such, they abandon calisthenics all together and start training with weights instead. But, as you probably know, calisthenics are very effective. They are making some very serious mistakes which hinder their progress. This is probably the most common mistake beginners make. Every time they feel that their workouts become easy, they add more reps.
Of course, there’s nothing wrong with doing that. In fact, in certain cases, high reps are necessary. But, high-rep training doesn’t help you grow stronger! 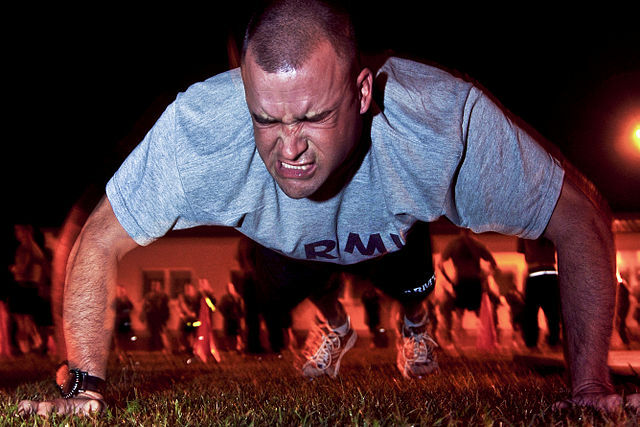 Training for 100 consecutive push ups isn’t going to help you do one arm push ups! You just have to train with harder exercises and less reps. This is another error that I have fallen into, when I finally found how to progress to more difficult movements. I wanted to make up for the time that I “lost” while training only with high-rep calisthenics. As such, I didn’t spend the necessary time to build the required foundation and master the basics. Luckily, I learned early on that doing this isn’t helping me in the long run. Progressing fast is very compelling (especially for beginners) – because it motivates you to train harder. First, even if you have some success early on, your progress is going to stall very soon. – That’s because you haven’t built the necessary foundation to advance further. Second, this may lead to an injury and further hinder your progress. You obviously don’t want to get into this situation. How can you avoid this training mistake? Fortunately, it’s kind of easy. Before moving on to a harder progression (of any exercise), be sure to master the previous one. That simply means that you’re able to do at least 5 reps with a progression before advancing. If you’re not a professional there’s no reason for being in hurry. Apart from you, no one really cares if you achieve a skill today or in 2 months from now. What really matters is that you’re training hard, you’re getting stronger and most importantly… that you’re staying healthy. Unlike the previous mistakes, this one can be quite hard to bypass. Because it affects all aspects of your training. By “training focus” I mean how focused you are while you’re working out. 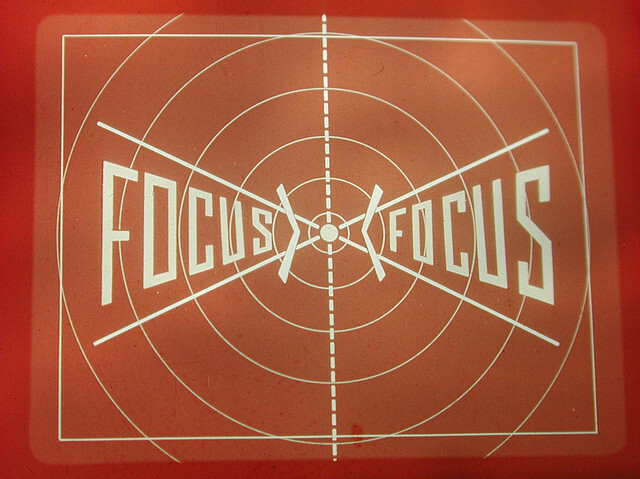 The more focused you are the better your workout will be. How can you stay focused during your workouts? Don’t check your phone while you’re working out. Better yet, don’t take the phone with you at all. During the rest intervals, hype up yourself for the next set. Listen to music that motivates you to train harder. The only thing that should matter to you is your workout only and nothing else. With goal focus I refer to how many goals you have at a certain time. 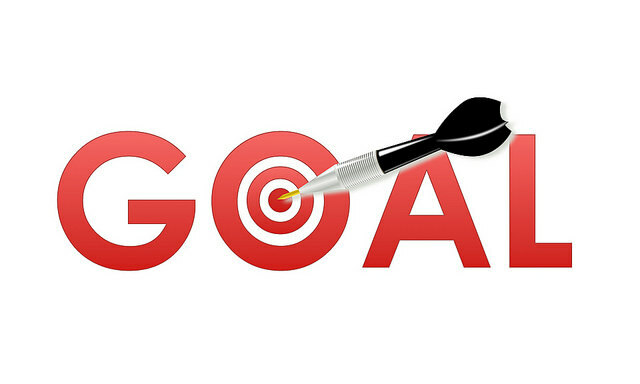 The more goals you have the less focused your efforts will be towards each goal. The more goals you have the longer it takes to achieve them. Person A: Focuses all his efforts on OAPU training. 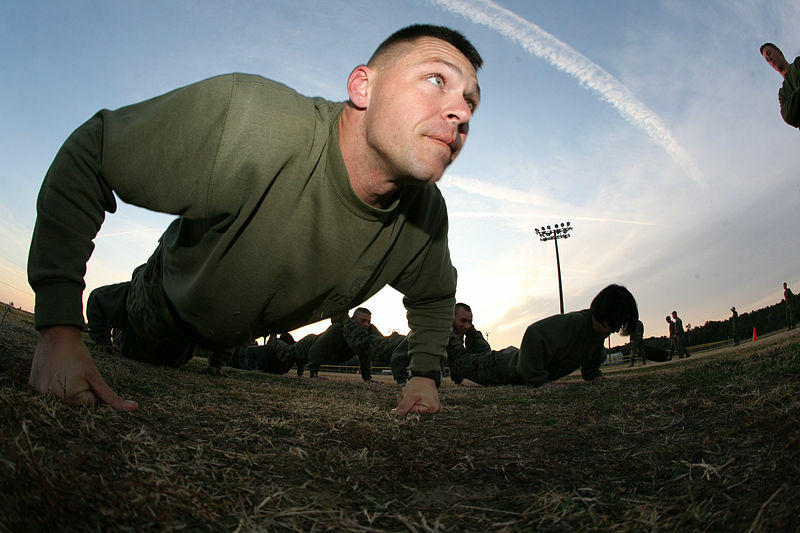 Person B: Trains for OAPU, to increase his push ups, and for the behind-the-back clap push ups. All at the same time. Who do you think will achieve the One Arm Push Up (OAPU) faster? Just focus all your efforts on one goal until you achieve it. Then, once you achieve it, pick up a new goal. Last but not least, you should be able to focus on a goal long enough until you achieve it. If you’re constantly changing goals you won’t achieve them. When I started training I had no clear goals whatsoever. I just wanted to grow stronger. But this was a very serious mistake by me. Because I wasn’t able to focus (Mistake #3) and I was missing out some great benefits. You’ll be able to reflect on your progress. You’ll be able to choose the right program. You’ll be able to prioritize your goals. Setting goals takes around 30 minutes. That’s a very short amount of time for the great benefits you’ll receive. Every time I want to start a new activity, I have an issue with consistency. It’s just hard to stay on track every single time. So, despite starting successfully, after a while I miss some of the sessions. Then I completely abandon the activity all together. When total newbies start training with calisthenics, they have a hard time following their plan. Is it lack of discipline? Most beginners rely TOO MUCH on their motivation to train. As such, when they aren’t motivated, they have a hard time working out. Fortunately, the solution to this problem is quite simple. Once, you’ve built the training habits, you’ll be able to train almost automatically. It sounds that way, but think about it. How many things in your daily life are you doing without thinking about them? You can do this with your training as well. How can you build training habits? In overview, you just focus on doing an activity for 30 consecutive days. After the 30 days have past, you’ll be able to do the activity without any issues. But, that’s just the gist of it. How to Stay Committed to Your Diet. I’ve fallen into this trap lots of times. Yet, you still have to do your research later on and study the subject. – Or ask for help. Because, you may never find out how to achieve your goals! And if you do, it will take a lot longer than it should. Fortunately, nowadays it’s very easy to find out what you’re looking for. Since you’re reading this, I know that you’re not trying to figure out everything by yourself. What’s the best way to find out what you’re looking for? This mistake isn’t as important as the previous ones. Yet, it can have a great impact on your training. If you aren’t doing any of the previous mistakes, you’ll be able to achieve your goals regardless of keeping track of your workouts or not. However, if you keep track of what you’re doing, you’ll be able to find out and correct any of your mistakes a lot easier. This will become a lot more obvious as you transition from a beginner to an intermediate athlete. Other than that, journaling your workouts has some great benefits. It’s very common advice that you should never compare yourself to others. …If you’re doing it right. Because, if you’re doing it wrong it can be the biggest motivation killer. Most people when they compare themselves to others, they don’t look at the whole picture. …even though, I’ve been training for many years, I’m not yet at his level. Yes. But that’s not the whole picture. Al has double the training experience and he’s also a professional coach. Which one do you think will help me stay motivated? When you compare yourself to others, be sure to get the whole picture. Better yet, try to find out about people who were in a similar situation as you (or worse) and achieved their goals despite the hardships. No matter your training level. Be it beginner or advanced. You’re still going to make mistakes. Because it shows that you’re trying out new things. Just find out your mistakes. Correct them. Keep training. And you’ll eventually achieve your goals.